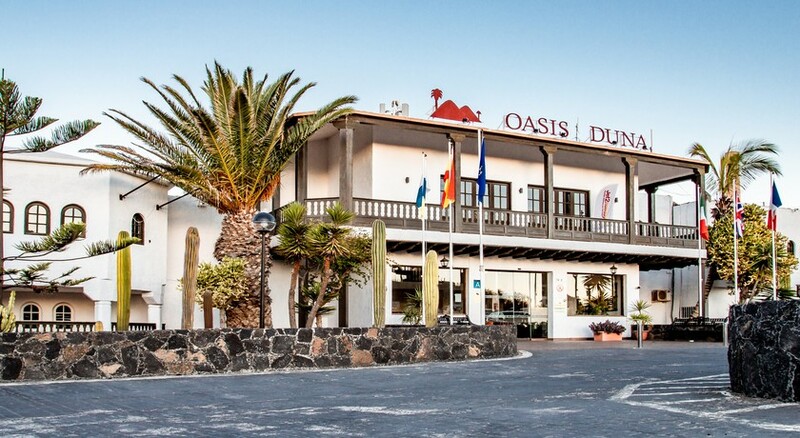 The Oasis Duna Apartments is located about 400m from the town centre of Corralejo and less than 1km from the beach on the island paradise of Fuerteventura. 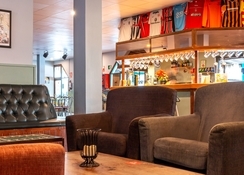 The hotel serves as a great base to explore the surroundings, which include the Dunes of Corralejo Natural Park with dunes up to 50m high, as well as the water park in Corralejo, only 200m from the hotel. 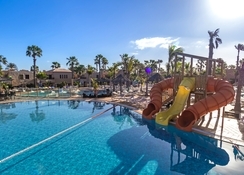 This complex is fantastic for couples and families with 340 comfortable one and two bedroom apartments, tranquil surroundings and a host of activities that ensure sun, fun, and relaxation! 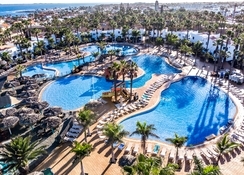 Other than this, there are large saltwater outdoor swimming pools both for adults and children. 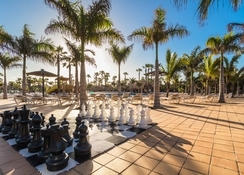 Fuerteventura International Airport is around 38km from the hotel. The hotel is in a protected area and also includes the nearby island of “Los Lobos” or “Island of the Sea Wolves”, which is home to a wide variety of native species of flora and fauna as well as a seabed featuring great ecological diversity. The Fuerteventura International Airport is about 38km, where multiple domestic and international flights depart and arrive. What’s most exciting is the beach is within 1km from the resort, making it convenient for beach lovers. The Oasis Duna Apartments features 340 apartments all on ground or first floor with one or two bedrooms. The hotel features apartments in two categories that include One & Two Bedroom Plus Apartments and One & Two Bedroom Standard Apartments. Every unit has two beds, bedside tables, wardrobe & dressing table, a kitchen with cupboards, fridge, two ring ceramic vitro hob, toaster, kettle and other kitchen utensils, bathroom complete with bath, a living area with sofa bed, armchair, fan, dining table for four, TV (with fee) and safe (extra charge), Wi-Fi (extra charge) and a furnished terrace or balcony. When it comes to dining and drinks, the hotel does not fall short of the guest’s expectations. The indoor restaurant and pool side bar are well-positioned to complement the guests with wide-ranging delicacies and drinks. Or you can take advantage of the in-room service to enjoy food and drink in a private and comfortable manner. If you want to explore more, you will be delighted to see a bunch of restaurants and bars within 1km that serve Indian, Asian, Japanese, Italian, Spanish among other cuisines. There are loads of sports and games available in and around the hotel to keep the guests occupied on their stay. There are two large salt water pools one of which is for child use only. 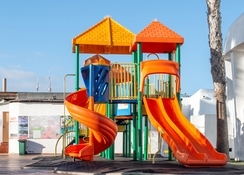 They comprise of water slides so that the guests can have unlimited fun under the supervision of a titled lifeguard. Other than this, there are plenty of sports facility too-thanks to the on-site tennis court, volleyball court, basketball court and table tennis court. Those who want to maintain their fitness level can head to the gym in oasis Papagayo Sports and Family, which is just 800 metres away from the hotel. Furthermore, the hotel offers massages and beauty treatments (external service with extra charges).